Bubba Gump Shrimp may have been famous from a movie. Life is like a box of chocolates, but no one makes shrimp like Bubba Gumps. Spicy, filling and just wonderful. Had this down in New Orleans at Bubba Gump’s. Here is a recipe that was inspired by a movie. If you live in the South of the United States you know what Barbeque Shrimp is, and how wonderful it tastes. 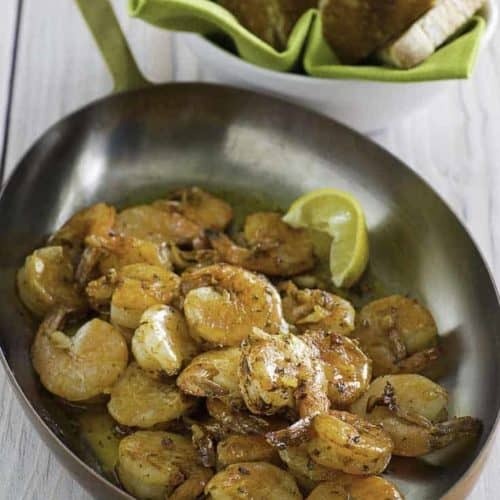 Barbeque shrimp isn’t shrimp that was placed on a grill, but it is shrimp cooked in a wonderful buttery garlic sauce. I believe if you have been to New Orleans Pascale Manales is the restaurant that may have started this way of cooking shrimp. Here is a great recipe to try if you want some of that famous sauce. My tip to you, serve with some French bread or some buttered rice, you won’t want to miss a drop of this sauce. 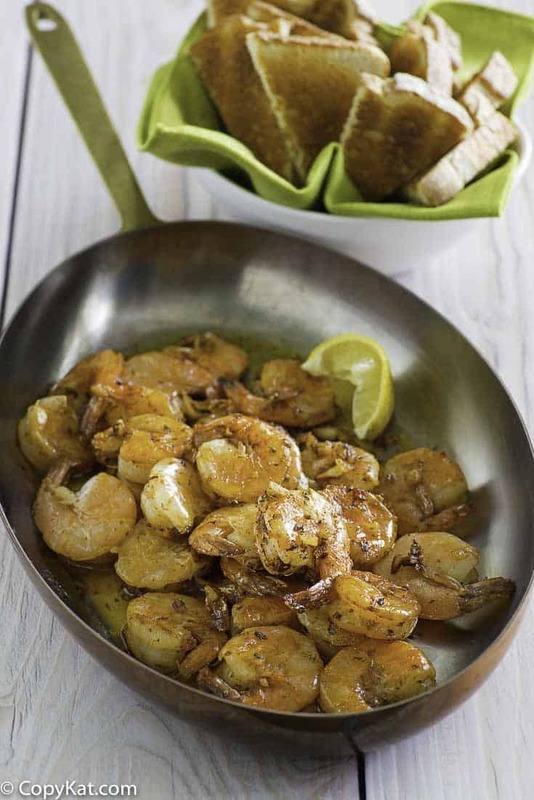 Thanks to Kachurr50 for sharing this shrimp recipe. Enjoy shrimp Bubba Gump style. 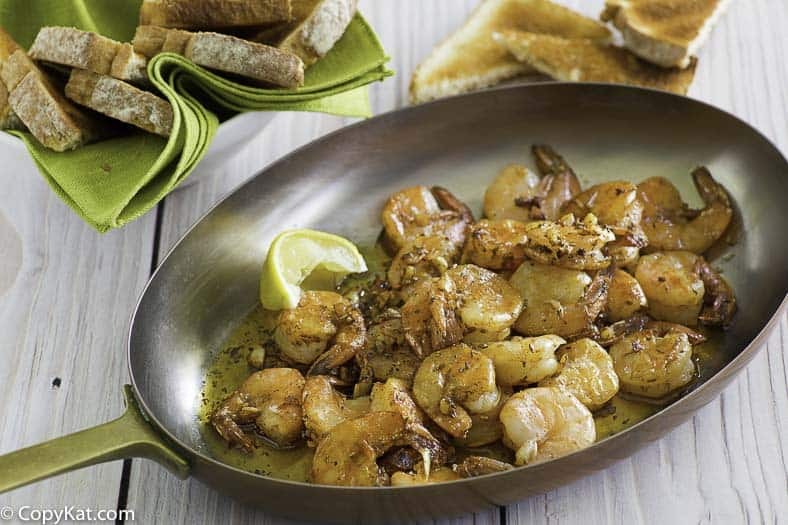 Put all ingredient into large skillet except shrimp. Cook on medium heat till butter is melted and hot. Drop in shrimp. Stir occasionally. Toast 2 slices sour dough or other good bread. Cook till shrimp are pink and just done maybe 5 minutes. How to “Subscribe”? Can’t find it. I am sorry you did not enjoy this recipe. I know you posted this recipe several years ago, but I just found it through Pinterest last night and made it today. It is AMAZING! I served it over angel hair pasta and thoroughly enjoyed every bite. Thank you for sharing the recipe. I use the Costco peeled shrimp package!! Butter, minced garlic and the rest of the herbs and spices. Turns out awesome every time!! And so fast!! Easy least recipe and delicious!! I am glad you enjoyed this recipe!